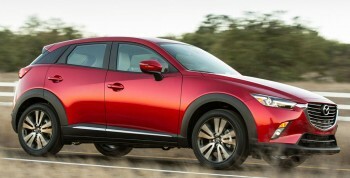 The 2016 Mitsubishi Outlander is part of an old line that is familiar to Palm Coast and Port Orange drivers, but the 2016 Mazda CX-3 has radically reinvented the compact crossover segment. An all-new vehicle for 2016, the CX-3 is one of the most innovative and advanced vehicles of the year. 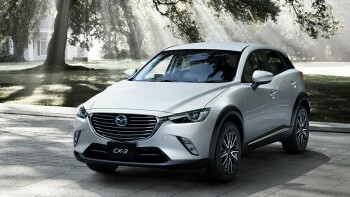 The 2016 Mazda CX-3 will be available for Palm Coast and Port Orange drivers in three trim levels, with a starting price of just $19,960. 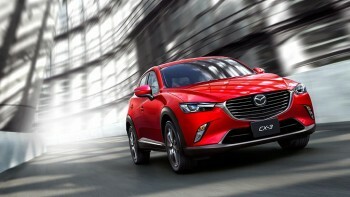 Sport: Your entry-level Mazda CX-3 will offer an enviable list of technology. A review camera comes standard, as does a six-speaker audio system, push button ignition system, voice controls, and a 7-inch touchscreen interface. Touring: The Touring model is perfect for drivers who spend a lot of time on the highway. A leather-wrapped steering wheel and shift knob both serve to sooth your hands during long journeys, while a blind-spot monitoring system with rear cross-traffic alert keeps you safe, and heated front seats keep you feeling toasty. Grand Touring: The CX-3’s top-of-the-line model offers appropriately impressive standard technology, such as adaptive LED headlights, a head-up display, satellite navigation, and a seven-speaker Bose audio system with HD radio and satellite radio. 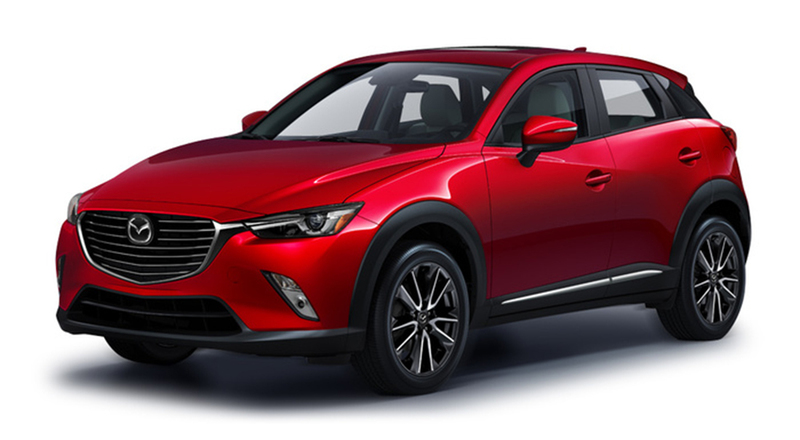 As an all-new vehicle, the 2016 Mazda CX-3 comes with one of the most advanced powertrains available — a 2.0L four-cylinder paired with a six-speed automatic transmission system delivers 146 hp and 146 lb-ft of torque. That output is enough to provide a confident drive, but its efficiency ratings make it a standout model. The new CX-3 makes up to 29 mpg in the city and 35 mpg on the highway in front-wheel drive, while all-wheel drive only drops those figures marginally to 27 city and 32 highway. Where the 2016 Mazda CX-3 effortlessly blends power and efficiency, the 2016 Mitsubishi Outlander relies on power alone. The 2.4L MIVEC 4-cylinder makes 166 hp, while the available 3.0L MIVEC V6 produces 224 hp. However, fuel-consumption ratings spike to make those figures possible. You’ll enjoy just 25 mpg in the city and 31 mpg on the highway with the four-cylinder or 20 city and 27 highway with the V6. The interior of the 2016 Mazda CX-3 has been designed with comfort in mind, but hasn’t lost sight of the need to provide Palm Coast and Port Orange drivers with plenty of practical features. For example, despite its compact nature the 2016 CX-3 will accommodate 12.4 cubic feet of cargo as standard with all seats occupied. Competitors like the 2016 Mitsubishi Outlander force you to make do with just 10.3 cubic feet of storage. The first thing you’ll notice when you slip inside the 2016 Mazda CX-3 is the vehicle’s stunning interior design. The next thing to catch your eye will be the generous level of technology. Even the entry-level model is fitted with a rearview camera and a 7-inch touchscreen as standard – features that can’t be matched by the 2016 Mitsubishi Outlander. Adaptive Front-Lighting System: Your headlights actually adapt to your steering and speed to provide superior visibility at all times. Head-Up Display: No longer reserved for the realm of science fiction, the heads-up display projects essential information right onto your windscreen. The 2016 Mazda CX-3 extends its commitment to providing the most advanced features to ensure that Palm Coast and Port Orange drivers are as protected as possible from harm. 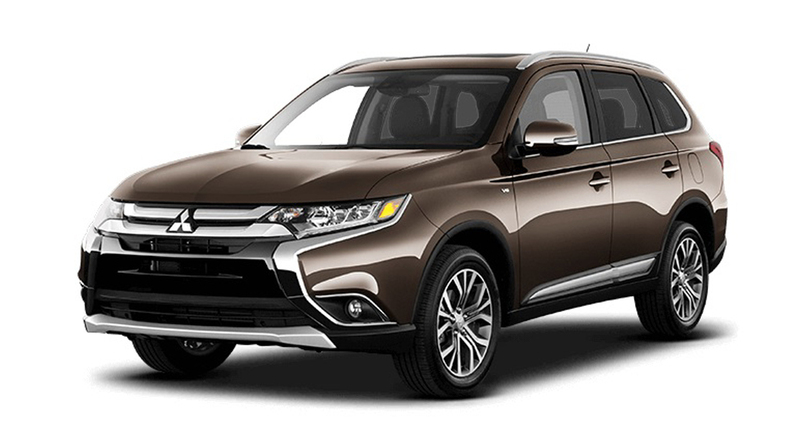 As with the 2016 Mitsubishi Outlander, plenty of basic safety features – including anti-locking brakes and a stability control system – come as standard, but you’ll also be able to enjoy all-new technology. For example, the innovative Smart Brake Support system will either minimize or prevent frontal collisions by monitoring the area in front of your CX-3 and apply the brakes if a potential collision is detected. As would be expected, the stunning all-new 2016 Mazda CX-3 is receiving plenty of attention, and the staff at the Are man she towards is ready to answer any question you might have. 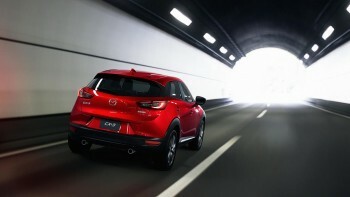 Come on down today to learn more about the CX-3.